AFAP offers you, a member of the Fort Bragg community, the opportunity to improve life at our installation and the United States Army. After you submit your issue, your issue is addressed through the AFAP process. During the year, it is sent to the agency or organization that can provide feedback about how to solve the issue. 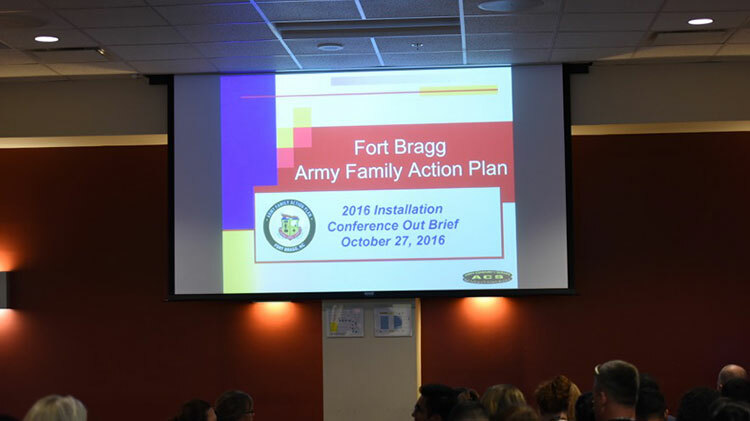 It is then included among the issues addressed during the annual Fort Bragg Installation AFAP Conference, typically held during the fall. Conference delegates that demographically represent Fort Bragg will discuss and prioritize what they think are the most critical issues. These issues are presented to the Commanding General for resolution. Be specific. You do not have to include great detail, but the more detail you provide the better we can address your issue. It is not mandatory that you include your name or email address. However, sometimes we may need additional information or clarification and may need to contact the individual submitting the issue. We are only able to do this if you provide that information to us. A first name and email address would be sufficient. Make suggestions for improvements. Your suggestions will help to clarify your issue. All issues are considered. However, it may take time for the results of your issue to be seen. You may always follow up on an issue through the AFAP office. If you would like to confirm that your issue was received by the AFAP Program Manager, contact the AFAP office. List only one issue per form and please include your recommendation for a solution.